Cycle care and cleaning is number seven on my list of “least favorite things to do” on my bike or truck. I know, I know, its sacrilege to the biker community, but I’d rather be riding than cleaning. 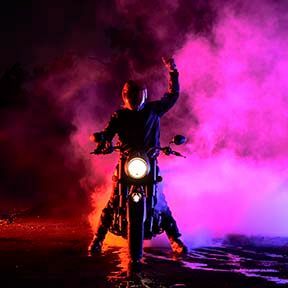 That said, it is important to have a clean motorcycle, and not just for the purpose of impressing your friends. When I was racing, one of the tasks at the end of every day was to wipe down and clean the bike. I didn’t do this to just look pretty and keep sponsors happy, but to force myself to go over every inch of the bike to ensure there were no leaks or issues. Having a clean ride will cause any oil or fluid leaks to stick out like a sore thumb, so I now consider it as general maintenance. 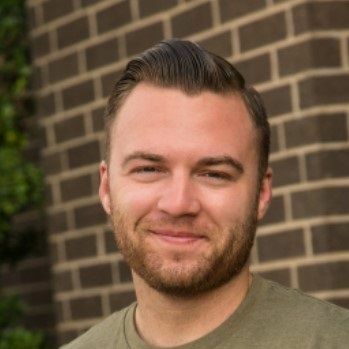 If you are a new owner, this is a great opportunity to familiarize yourself with every part of your motorcycle and truly become one with it. 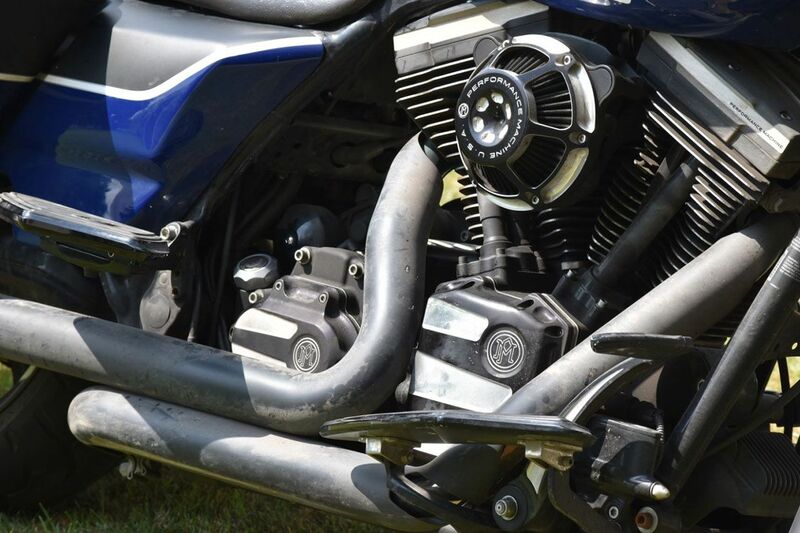 Forget the hose and bucket, cleaning and detailing your bike has never been easier. 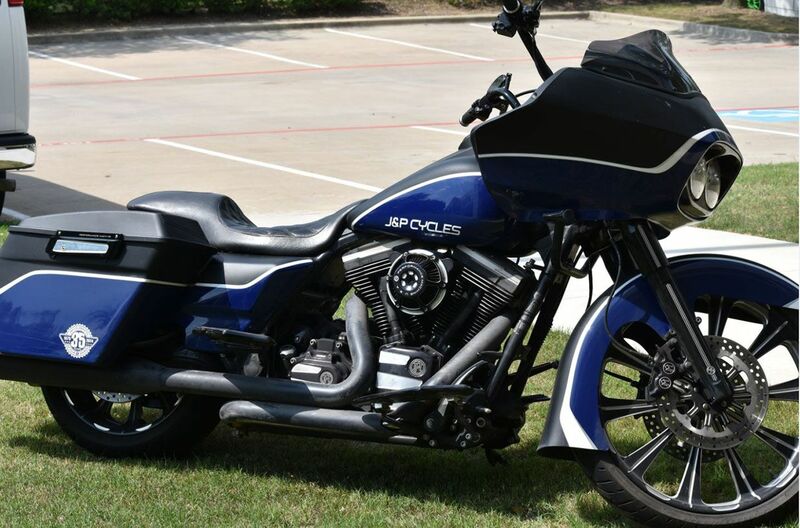 Since 1992 Cycle Care has been in the business of keeping your bike clean and pristine. For this review, I have decided to test four of their products that do not require the traditional wash off method. 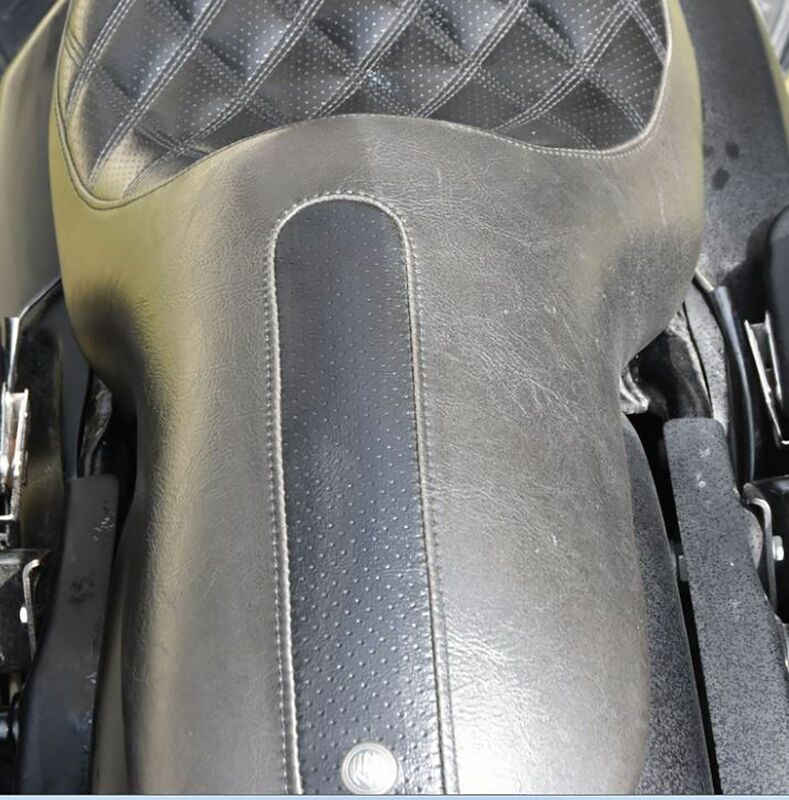 Our test bike for this review is a well-known (and ridden) 2011 H-D Road Glide. This bike has been to Sturgis, Anamosa, Daytona, and everywhere in between. I swear it must have seen every rain storm in between as well because it is good and dirty. What will be interesting to see is the finish, as the Glide is both matte and gloss. 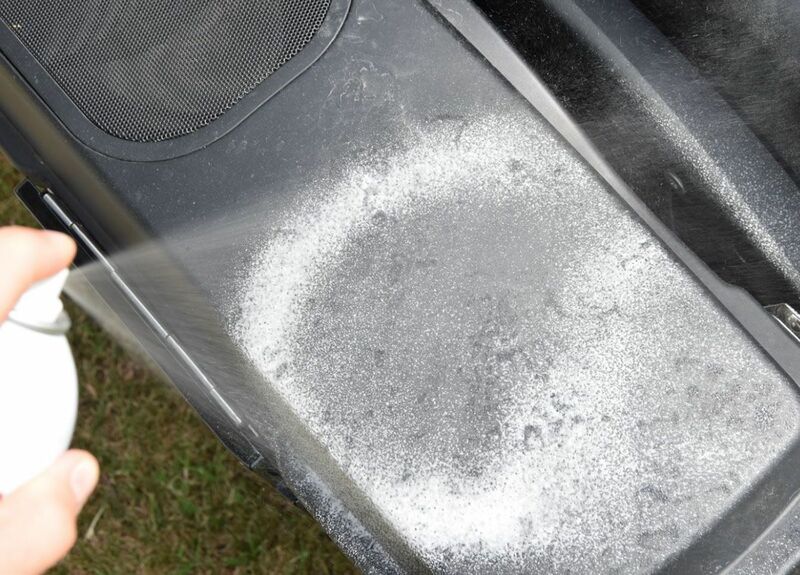 Matte paint can expose a lot of cleaners/polishes as leaving oily streaks. Safe for windshields, chrome and clear coats. This is best used as a quick detailer. 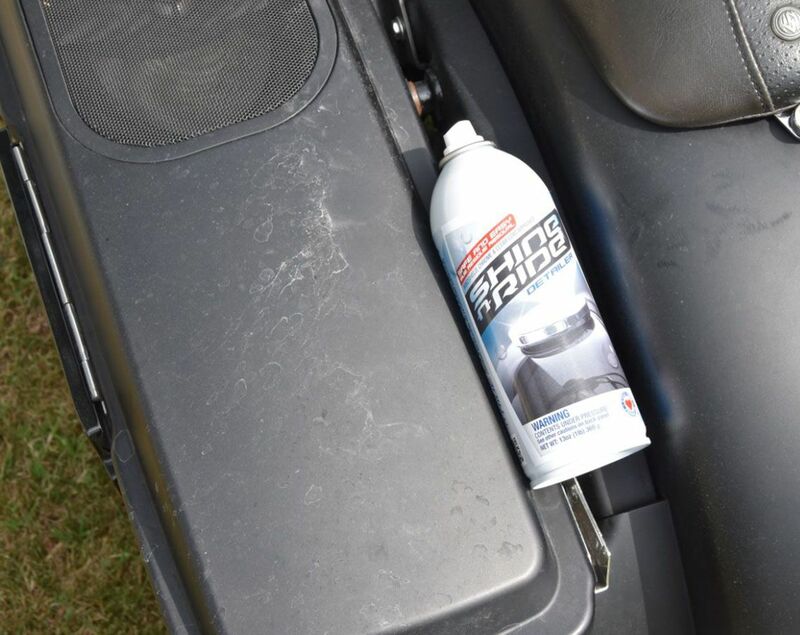 Use it throughout the week to touch up the bike and keep it looking fresh. I have found that this can also be used to wipe off bugs and grime on your face shield or glasses. Of all cleaning products, I find myself grabbing these the most as they are quick to use and very effective. Give it a spray (left) and simply wipe off. (right) No need to scrub. (left) Spray foam is easy to place where needed. 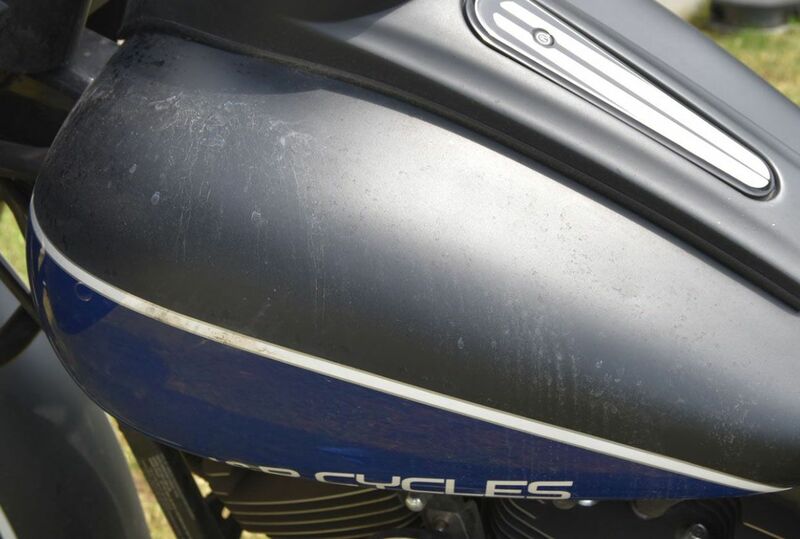 (right) Before/after example of how this quick detail aerosol can quickly get your bike looking new again. 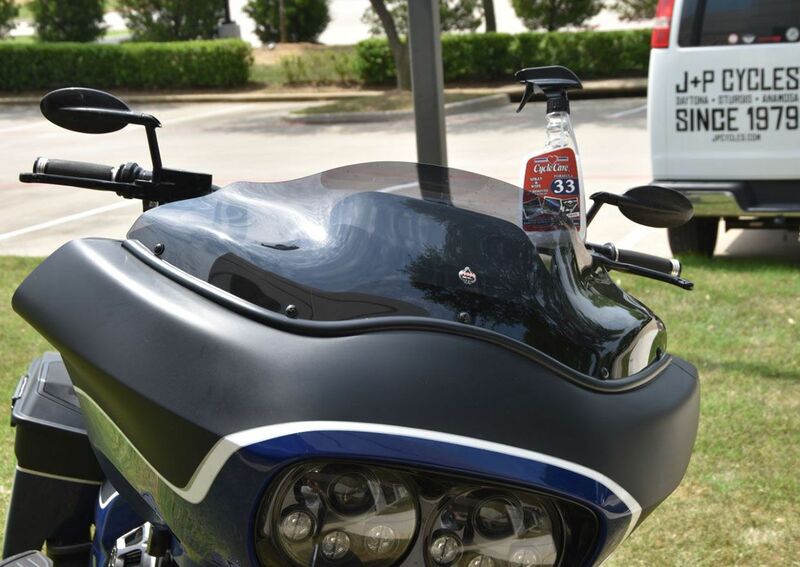 Designed to be used as a quick-fix or touch-up on all surfaces, Formula 33 helps provide protection from UV rays, acid rain, and dirt accumulation. 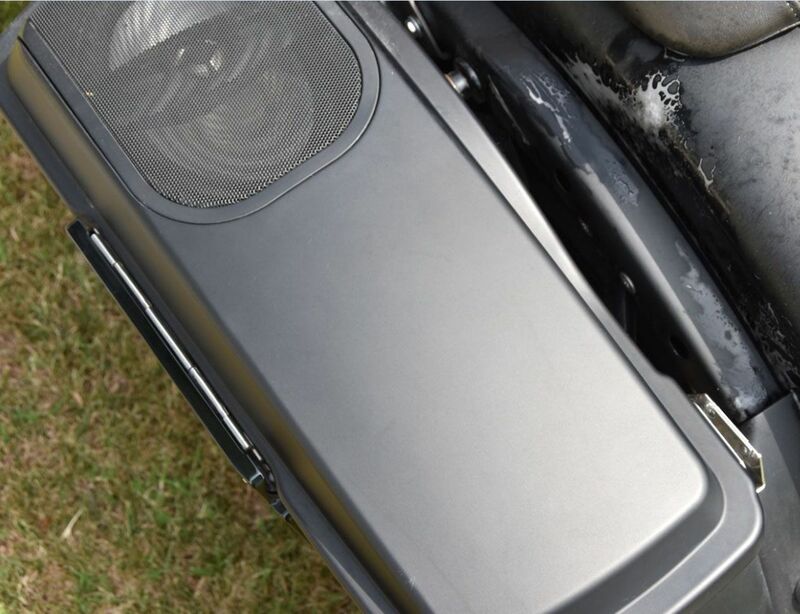 It will also polish and remove bugs, road tar, and road film from your windscreen, paint (clearcoat), and chrome. 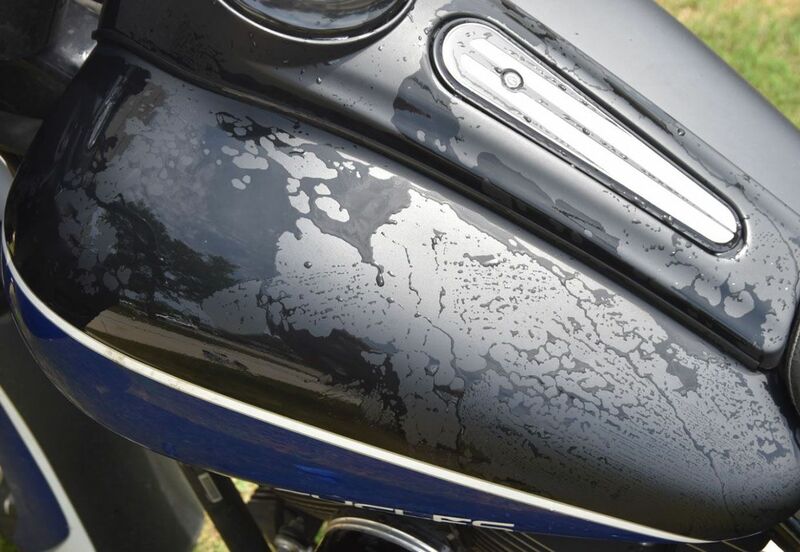 Formula 33 is non-streaking and will provide protection as well as a water repellent shine, but it will not harm any surface including pinstriping or custom paint. Formula 33 worked great on this bug splattered fairing. 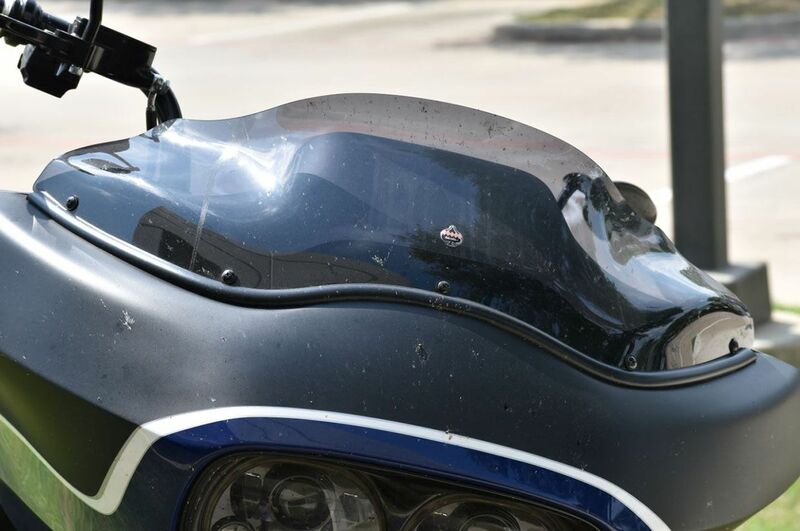 I sprayed this on fairly heavy as the front of this fairing was well covered in half of Texas' bug population. With a clean microfiber, I was able to get most off just by lightly wiping, however there were a few spots that took a little rubbing due to heavy grime. Overall, the cleaner released the bug and road grime without breaking a sweat. 8 oz. spray bottle- Sprays like milky cooking spray- Smell profile: Its top notes, which remain for only a few minutes, are citrus and cinnamon, its heart a warm rose, and its base a creamy amber. Here is a formulation of premium quality polymers designed to restore the luster and softness to vinyl, leather, and rubber surfaces. 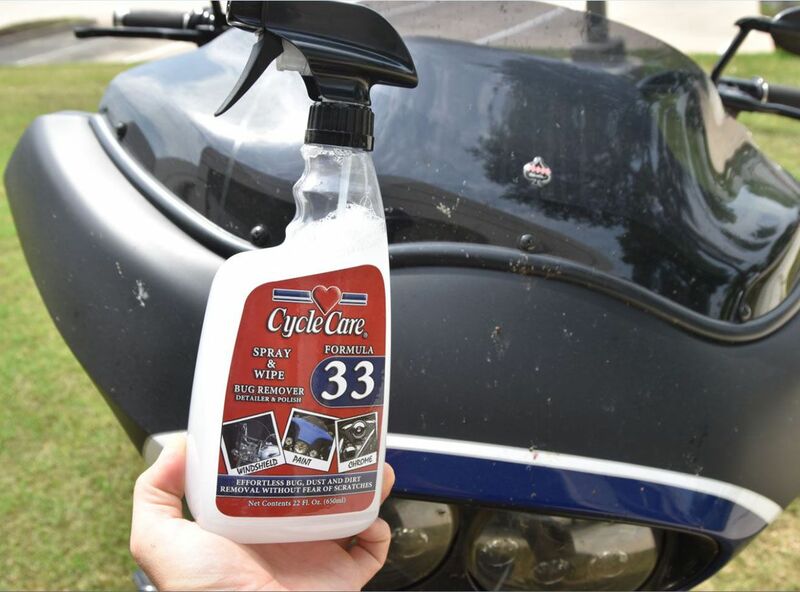 Cycle 4 protects against ultra-violet rays, cracking, repels water, and prolongs the life of your ride. 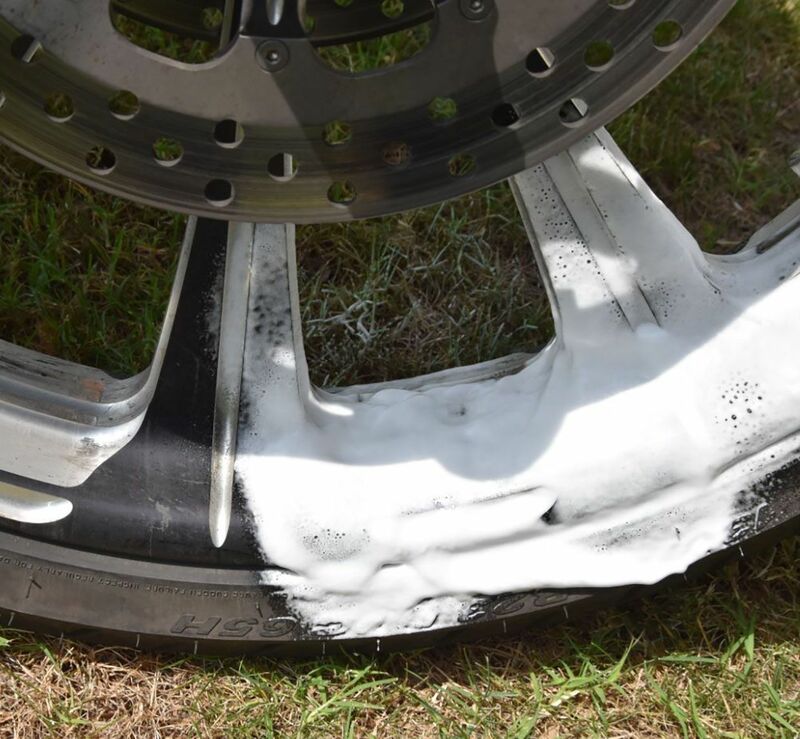 Applied to rubber, Cycle 4 creates a water repellent, like new appearance. 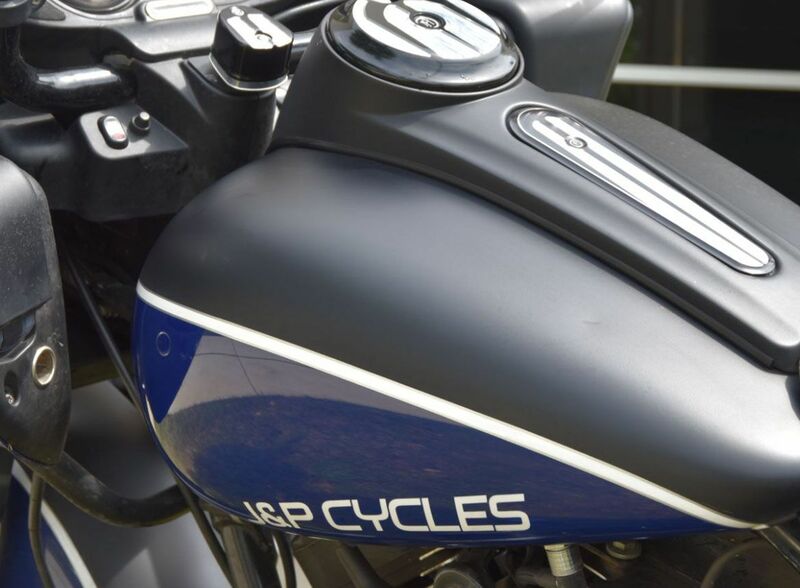 You may also use Cycle 4 to restore factory finish to touring bike instrument panels and top facing panels. Simply spray on and wipe off. I did massage it in as I wiped with a clean microfiber to ensure it was well into the leather. (left) Liberally spray the leather and massage in. (right) You can see the clear difference from left (treated) to right (untreated). If you are still trying to figure out what the hell I was talking about a few lines ago, it's simple. It wreaks of manliness. 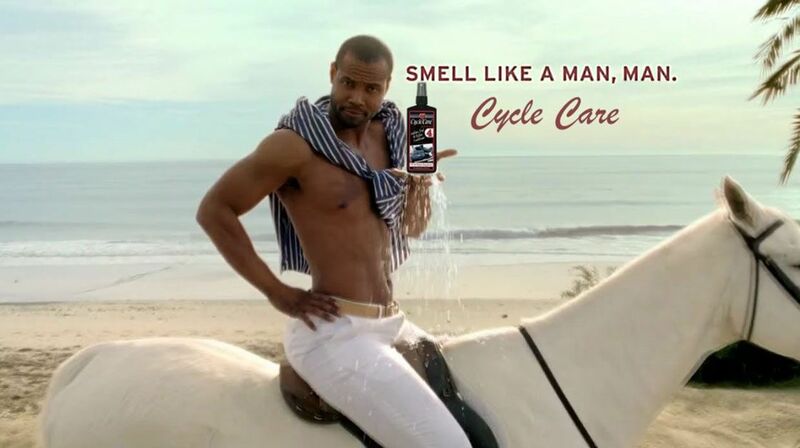 Almost like a sweeter Old Spice. *Disclaimer* Spray this on your leather jacket and you will need to carry a bat to swat the ladies away. 16 oz. bottle- Milky green water – Smells like mint and faintly of chlorine. 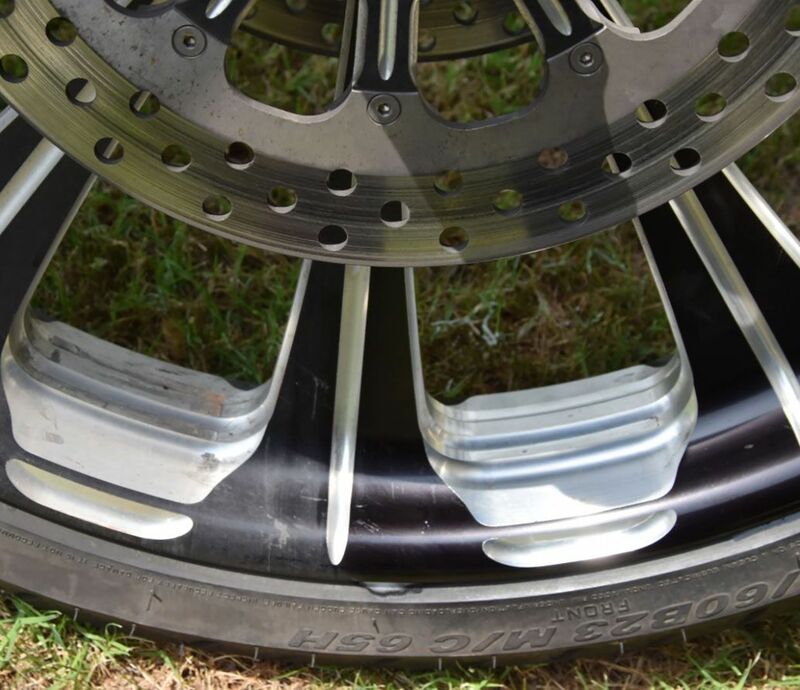 This new product helps conserve water, allows you to wash your motorcycle anywhere, and is compliant with all municipal restrictions, hotels, apartments, condos, etc. 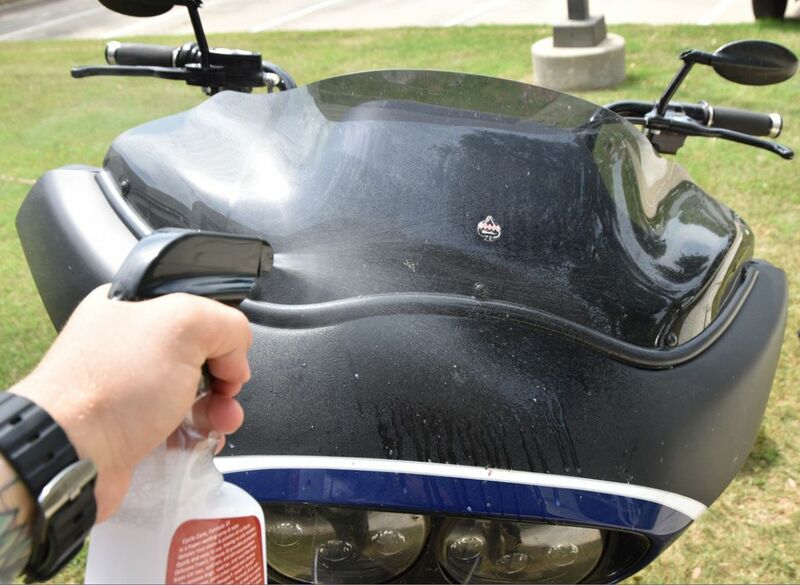 This no-rinse bike wash captures the dirt with a lubricating, distillate-free resin which prevents scratching and abrasion of surfaces. 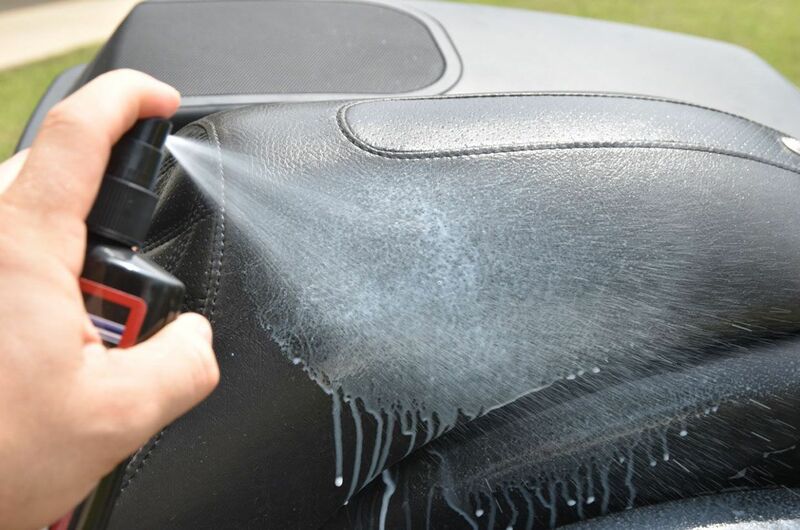 As you towel dry, you are creating a “Wet Wax” shine and durability. Cycle Care scientists have a love for keeping your bike clean and our earth healthy. 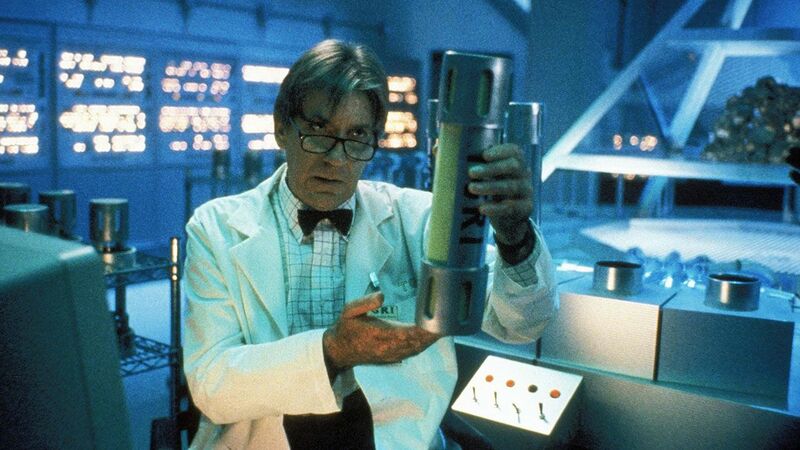 The secret is in the ooze. This is the only item on the list that has any “prep,” but hardly. All you need for an entire bike is just two capfuls of Envirogreen mixed into a gallon of water. If you are at a hotel, just grab your ice bucket and head outside. Remember, two caps is all you need. 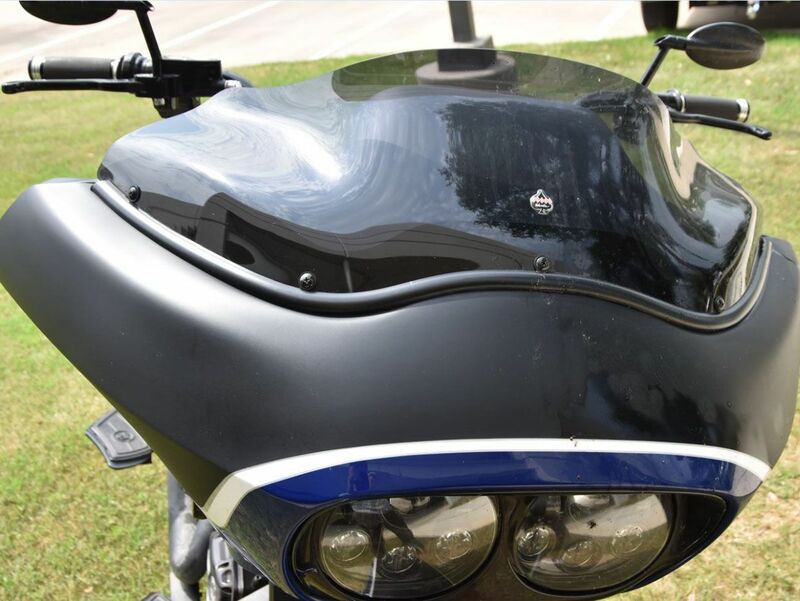 This bike has both matte and gloss paint finishes. 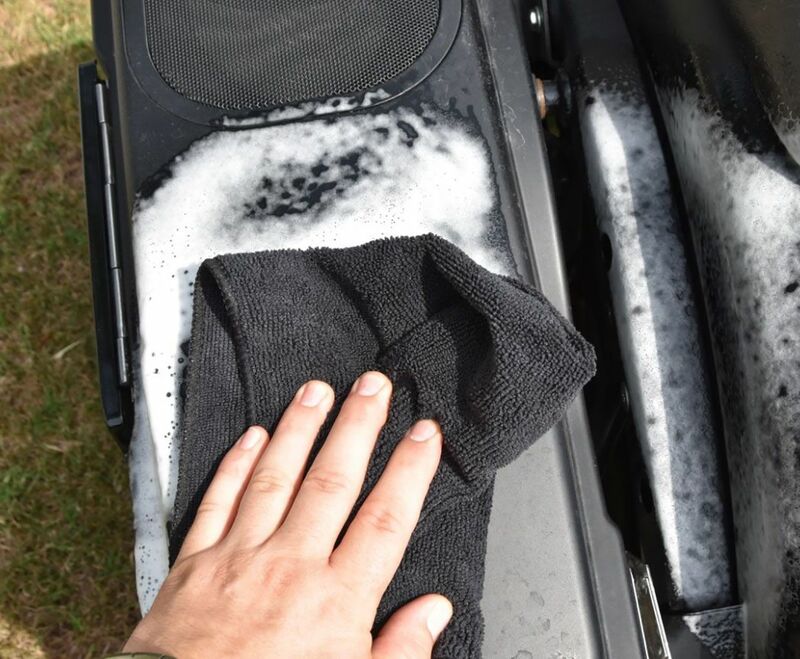 Dip your microfiber or sponge into the solution and softly wipe. (I was doing this in direct sunlight on a 96-degree day, so it was drying as fast as I was wiping. I ended up wiping the area down twice.) After you wet and wipe it down, dry with a clean microfiber towel. Both the matte and gloss came out great. Overall, all of these work well in their own way. I like that these are multi-purpose cleaners which polish and leave a protective layer. The Shine and Ride and the Formula 33 are the quickest to use in my opinion. Bugs and thick road grime came off with ease and the bike looks great. 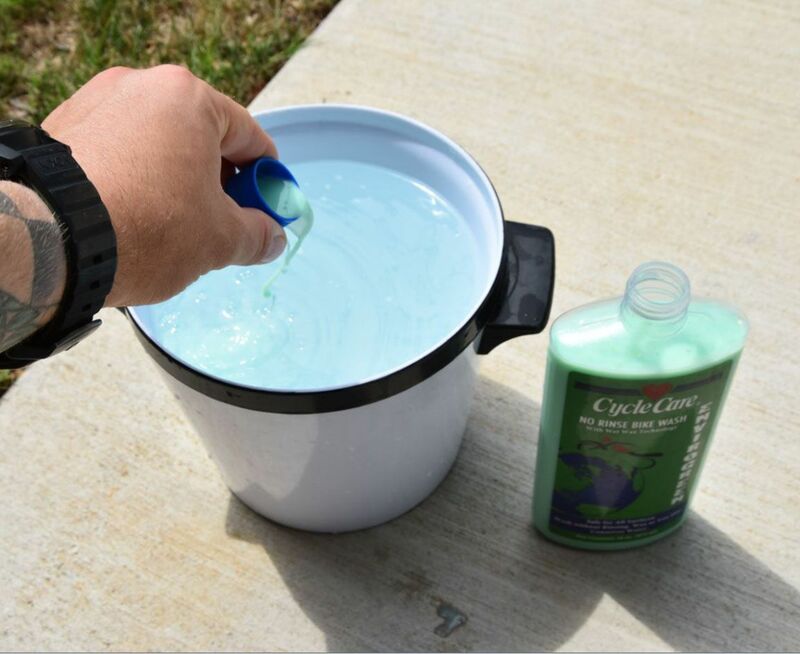 The Envirogreen is a great idea to use at home as it is a full bike wash, will last a long time, and you don’t have to worry about it killing your grass with harmful chemicals. If you own anything leather or vinyl (you know you do) just buy the Formula 4 already. If you still think I am being foolish about the smells, buy it and tell me different. Each one of these has a unique smell and actually makes working with them easier.